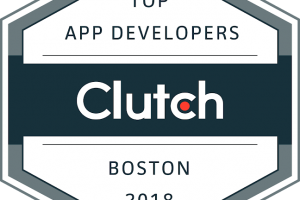 Snappii was highlighted as a top mobile app development company by Clutch in an annual report listing the top agencies and developers in Boston. Rochester, NH. Snappii, a leading Mobile Business Apps company, offering Business Process Automation and Field Reporting Apps used predominantly in Construction, Inspection, Delivery and Work Order management, has made the digital transformation affordable especially for small and medium size companies. Snappii helps to design, build, and deliver feature-rich business apps in days versus months without any coding skills. Any business app can be created quickly, easily and affordably. The platform also makes it easy to manage Apps and make ongoing changes. Last week, Clutch, a B2B research, ratings, and reviews firm based in Washington, DC, released their annual report of the top agencies and developers in Boston. The top-performing companies featured in the report were evaluated on their market presence, work quality, services offered, and client feedback. Snappii is a leading Mobile Apps company for Business Apps. About 500,000 people use Snappii Business Apps in 30+ Industries around the world. All Apps are powered by the Ultra Fast, No code Snappii App Builder Platform which enables native App creation 30 times faster than coding and costs a fraction of hiring Mobile Apps Developers. Learn more at www.Snappii.com.